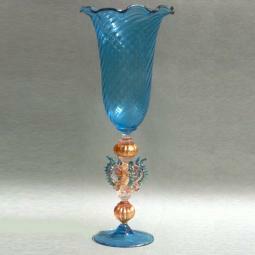 Wonderful collection of glasses and goblets entirely hand blown by the best Murano glassmakers. 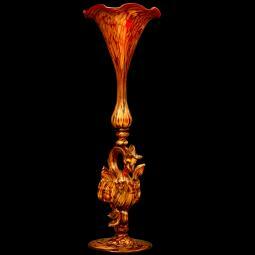 Each product is hand made upon request, produced according to the ancient traditions of the enetian glassmaking art. 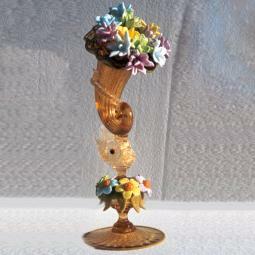 "Fiore" Murano drinking glass, hand made by authentic Masters glassblowers from Murano.Made on demand. The dimensions and the colors can be customised to individual specifications.Worldwide shipping and total insurance coverage. 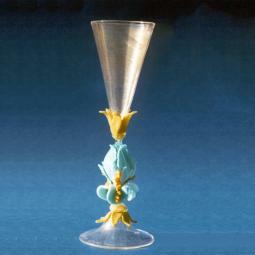 "Fiori di Campo" Murano drinking glass, hand made by authentic Masters glassblowers from Murano.Made on demand. The dimensions and the colors can be customised to individual specifications.Worldwide shipping and total insurance coverage. 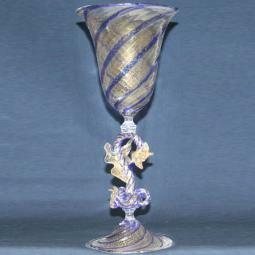 "Foglia d'Ambra" Murano drinking glass, hand made by authentic Masters glassblowers from Murano.Made on demand. The dimensions and the colors can be customised to individual specifications.Worldwide shipping and total insurance coverage. 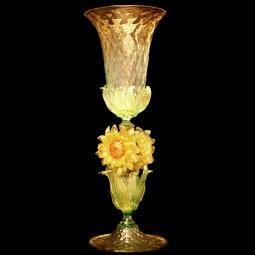 "Girasoli" Murano drinking glass, hand made by authentic Masters glassblowers from Murano.Made on demand. The dimensions and the colors can be customised to individual specifications.Worldwide shipping and total insurance coverage. 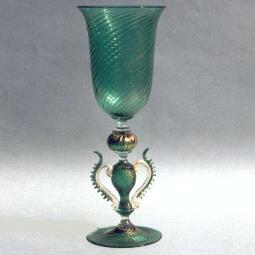 "Iridio" Murano drinking glass, hand made by authentic Masters glassblowers from Murano.Made on demand. The dimensions and the colors can be customised to individual specifications.Worldwide shipping and total insurance coverage. 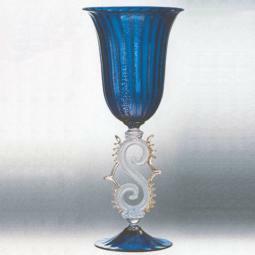 "Iris Blu" Murano drinking glass, hand made by authentic Masters glassblowers from Murano.Made on demand. The dimensions and the colors can be customised to individual specifications.Worldwide shipping and total insurance coverage. 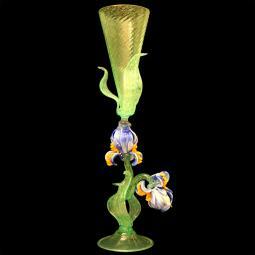 "Iris Cielo" Murano drinking glass, hand made by authentic Masters glassblowers from Murano.Made on demand. The dimensions and the colors can be customised to individual specifications.Worldwide shipping and total insurance coverage. 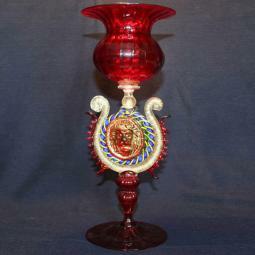 "Leone" Murano drinking glass, hand made by authentic Masters glassblowers from Murano.Made on demand. The dimensions and the colors can be customised to individual specifications.Worldwide shipping and total insurance coverage. 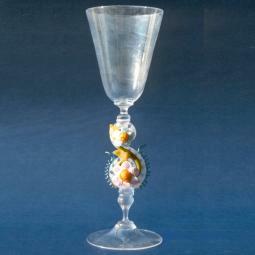 "Marea" Murano drinking glass, hand made by authentic Masters glassblowers from Murano.Made on demand. The dimensions and the colors can be customised to individual specifications.Worldwide shipping and total insurance coverage. 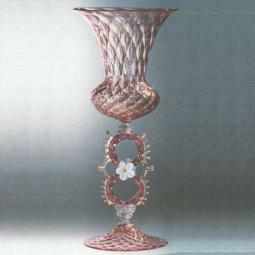 "Margherita Rosa" Murano drinking glass, hand made by authentic Masters glassblowers from Murano.Made on demand. The dimensions and the colors can be customised to individual specifications.Worldwide shipping and total insurance coverage. 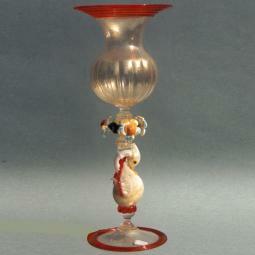 "Mordace" Murano drinking glass, hand made by authentic Masters glassblowers from Murano.Made on demand. The dimensions and the colors can be customised to individual specifications.Worldwide shipping and total insurance coverage. "Moriarti" Murano drinking glass, hand made by authentic Masters glassblowers from Murano.Made on demand. The dimensions and the colors can be customised to individual specifications.Worldwide shipping and total insurance coverage. 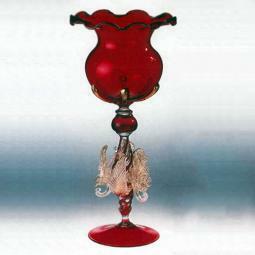 "Rigoglioso" Murano drinking glass, hand made by authentic Masters glassblowers from Murano.Made on demand. The dimensions and the colors can be customised to individual specifications.Worldwide shipping and total insurance coverage. 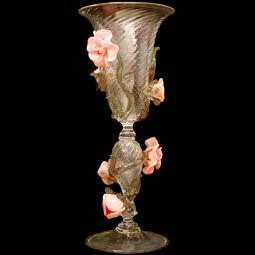 "Rose" Murano drinking glass, hand made by authentic Masters glassblowers from Murano.Made on demand. The dimensions and the colors can be customised to individual specifications.Worldwide shipping and total insurance coverage. 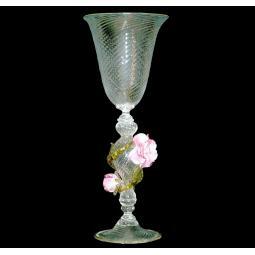 "Roseto" Murano drinking glass, hand made by authentic Masters glassblowers from Murano.Made on demand. The dimensions and the colors can be customised to individual specifications.Worldwide shipping and total insurance coverage. 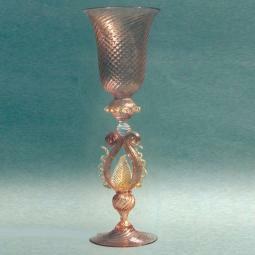 "Serpente" Murano drinking glass, hand made by authentic Masters glassblowers from Murano.Made on demand. The dimensions and the colors can be customised to individual specifications.Worldwide shipping and total insurance coverage. 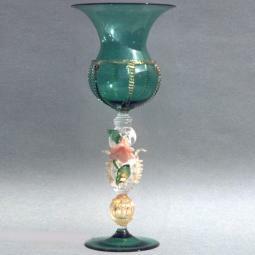 "Sfarzoso" Murano drinking glass, hand made by authentic Masters glassblowers from Murano.Made on demand. The dimensions and the colors can be customised to individual specifications.Worldwide shipping and total insurance coverage. 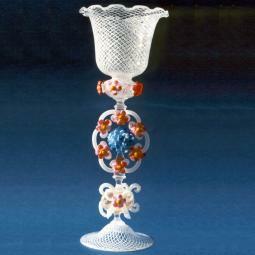 "Tradizione" Murano drinking glass, hand made by authentic Masters glassblowers from Murano.Made on demand. The dimensions and the colors can be customised to individual specifications.Worldwide shipping and total insurance coverage. "Viverna" Murano drinking glass, hand made by authentic Masters glassblowers from Murano.Made on demand. The dimensions and the colors can be customised to individual specifications.Worldwide shipping and total insurance coverage.